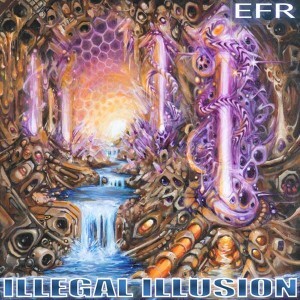 Illegal Illusion is the debut release by Alexander Nikiforoff, an electronic music artist from California, USA. This album is a theatrical electro-symphonic fusion of downtempo, psybient, and trance featuring electronic and acoustic instruments. It starts slow, gently lulling you into a trance-like state before taking off on a sonic journey though an unusual and non-standard blend of styles with significant influence from old school synth music. Produced by Electronic Fantasy Records, mastered by Bob Katz (Digital Domain Studios), and with artwork by Gabriel Welch. MP3 Download | FLAC Download | WAV Download · Download count: 12,313.